Malaysian Defense Minister "is not worried" about the patrols of the Chinese ships . Economic and trade agreements between Malaysia and China behind the possible convergence, including the exploitation of oil and natural gas in the area. Analysts explain that Beijing aims to divide ASEAN . A new front opens in the battle with Manila. 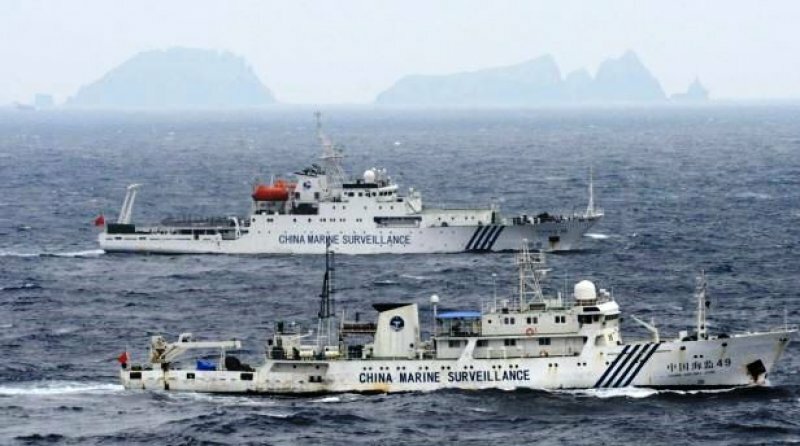 Kuala Lumpur (AsiaNews / Agencies) - Kuala Lumpur has dissociated itself from other ASEAN countries - especially Vietnam and the Philippines - and denies fears or concerns about the presence of vessels flying the flag of Beijing in the South China Sea. This opens another fracture within the Association which brings together 10 nations of Southeast Asia, after the flop of the summit in Cambodia in 2012 due to pressure from China on the Phnom Penh government. International policy experts confirm the "divisions " in the Asia -Pacific region, because of the different personal "interests". Hanoi and Manila , albeit in a different way, consider the disputes with China as a "serious national security issue " , while Malaysia and Brunei prefer to speak of a need to " defuse tensions " . Meanwhile the project to create a single internal market by 2015 is becoming increasingly unlikely. However, this is not an element of disturbance to the Malaysian government , which argues - at least implicitly - to the other ASEAN countries involved in the dispute : " Just because you have enemies , does not mean that your enemies are my enemies ." The minister added that "they may well patrol every day, if their intentions are not of war ." For the Chinese Foreign Minister Wang Yi, the situation in the disputed waters is "stable". After meeting with his Thai counterpart in Beijing, the politician added that "there are no real problems of freedom of navigation in the South China Sea , nor will be a problem in the future . " Behind this convergence of views between Beijing and Kuala Lumpur lies a close cooperation between both governments, in particular in the exploitation of oil and natural gas in the area. Responding to the ASEAN states that do not take kindly to their cooperation with China, the Malaysian minister replied: " if you challenge for the sake of challenging, this is nonsense ." According to experts from the China National Offshore Oil Corp the South China Sea holds resources at least five times higher than those discovered to date . Recently, China has given the green light to talks that should lead to the creation of a Code of Conduct , scheduled for next September , although it is difficult to predict short-term solutions . ASEAN is inclined to enter into negotiations on several fronts , while Beijing has always preferred the option of one on one talks, where it can bring to bear its own economic , political and military power over a single country. And if on the one hand, Beijing is becoming more aggressive, on the other hand it is clear that ASEAN can not speak with one voice. Lao Monghay , independent analyst, said that " China's strategy is to divide ASEAN" and it already succeeded "last year during the summit in Cambodia". Beijing is "in no hurry to close " on the negotiations which should lead to the fateful Code. At the same time the split with Manila is becoming clearer, after the controversy over the participation of Philippine President Aquino Benin in the China-ASEAN Trade Fair scheduled for next month. The two governments blame each other, what is certain is that the Philippines is the " guest of honor" at the fair, but the presence of their head of state is not welcome. Among Asia-Pacific nations, China has the largest territorial claims in the South China Sea, including the Spratly and Paracel Islands, which have no permanent population but are resource rich. Regional hegemony would be strategically important for Beijing because it would enable it to control the region's trade and natural resources, such as oil and natural gas. Vietnam, Philippines, Malaysia, Brunei and Taiwan have challenged China's expansionist aims. As well as the United States who are moving behind the scenes to counter the imperialism of Beijing in a strategic area of control for two-thirds of the world's maritime trade.